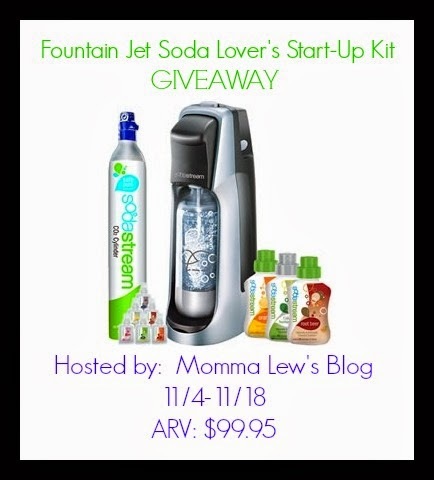 My Life According to Pinterest: SodaStream Giveaway! A special thank you to all of the great bloggers participating in this giveaway! The SodaStream has quickly become a family favorite! Read Momma Lew's review here to find out more about how the SodaStream can save you money, time and the earth! A SodaStream Home Soda Maker makes a great holiday gift! To enter, follow the steps in the rafflecopter below. The giveaway is open to US residents, 18+. One entry per household. 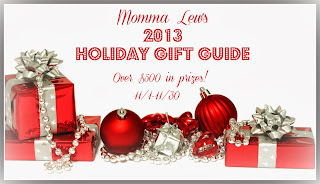 Begins 11/4 and ends 11/18 at 11:59pm EST. Thank you for entering! Disclosure: Momma Lew's Blog received a SodaStream for review and all opinions are 100% her own and were not influenced in any way. All participating bloggers are not responsible for prize fulfillment, which is the sponsor's responsibility. Social media networks are not affiliated with this giveaway. This disclosure is done in accordance with the Federal Trade Commission 10 CFR, Part 255 Guides Concerning the use of Endorsements and Testimonials in Advertising. I would like to try Orange soda! I would like to try cola! Christmas Gift Guide Giveaway Event! Svan Baby to Booster Highchair Giveaway!